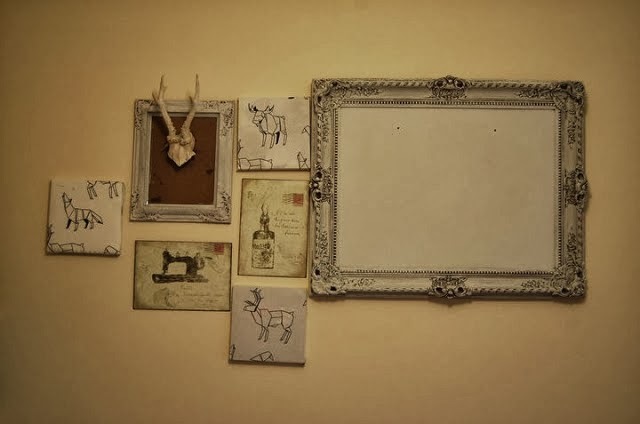 You can pick up frames from anywhere… Charity shops, car boots sales, your grandads secret hoarding house where he keeps years and years of random things he found mainly in house clearances and the like (don’t ask) or you can pick some simple ones up from Homebase and the like. A lick of paint using one of those little sample pots that cost about 2 quid and you’re good to go. You can keep them blank, hang some antlers, insert fabric or get some fancy pictures. It’s a pretty versatile way to make your home your own! What are your best cheap, cheerful and rent friendly decor ideas?